November is here and we are saying goodbye to another Black History Month (BHM), but I wonder if it’s fit for purpose? Does there need to be a specific month were people cram in hundreds of years of history, and then end it with the subconscious cliché of ‘same time, next year?’ I’ve had this discussion with friends and strangers; initially I thought BHM was important but I’m not sure anymore. As far as I know, in the UK there is no White or Asian history month. This is probably because British culture and history is all around us and taught by law in schools. With regard to Asians (the Office of National Statistics defines this as Indian, Pakistani, Bangladeshi, Chinese and other Asian); I remember celebrating Chinese New Year at school and learning about which animal represented the year in which I was born. 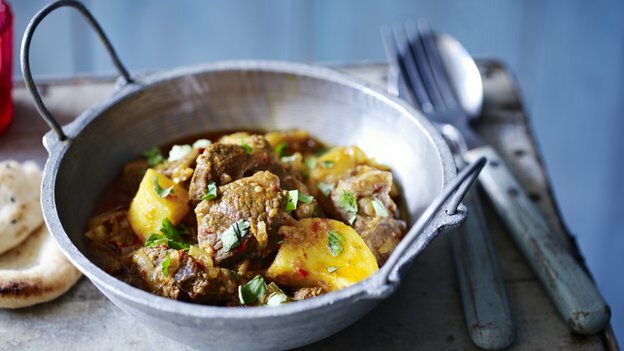 It’s widely known that Britain has ‘adopted curry as its national dish’. There are over 9,000 Indian, Pakistani and Bangladeshi restaurants in the UK, multiple programs showcasing Indian culture on main stream British TV, such as BBC’s ‘Rick Stein’s India’ series, and there probably isn’t an urban area in the UK without a Chinese takeaway/buffet restaurant. Asian people have a distinct culture that they are very keen to preserve, whether it’s passing on their language to their children, wearing traditional dress such as Sari’s to functions and of course their food. I went to a friend’s Indian wedding, and yes 99% of the guests were Indian, but all the women wore Sari’s, I don’t think there would be any question in their minds to substitute their national attire for a fancy dress from Coast or Karen Millen for such an event. If comparing the two main ethnic groups in the UK – Asians (making up 7.5% of the population in England and Wales) and African-Caribbean (3.3%), it’s obvious whose culture is celebrated more by the wider population. Maybe this is due to the numbers? There are more Asians than African-Caribbean’s in the UK so it makes sense, right? I don’t think BHM is really effective anymore; when I go to the events, it’s always a case of ‘preaching to the converted’. Slowly but surely more people are actively seeking out information which is a positive sign. However, eating the sweet and sour cake of black history once a year, is not enough to etch the achievements, struggles and conflicts (within the community as well as outside it) of the black race in the hearts and minds of people. After all, who eats cake once a year?! Black history is world history and contrary to what I believed, extracting it from the world history timeline, cause us to marginalise it. It should be omnipresent in British culture, so that people understand that there is more to the African-Caribbean identity than being the descendants of slaves or children of the colonies. Black history is dispersed over various countries, making it fragmented and tricky to decide what to focus on in just one month. From the UK context, unlike the African-Americans, black people emigrated from different countries and speak different languages. Those from the Caribbean islands speak varying dialects of creole and European languages; the Africans have their own mother tongues. It’s evident that the black community in the UK now, is not as cohesive as other ethnic communities. Southern Asians in particular, don’t seem to let their language differences and religions stop their collective progress in the UK. British history is inextricably entwined with African-Caribbean history (every year the Queen still ‘honours’ people by making them Members of the British Empire), so it’s not unreasonable to expect black history to be taught and celebrated in mainstream British society to the extent where it just becomes as normal as having an Indian curry takeaway or chicken chow mein on a Friday night. For this to become a reality the black community has to show that it cares enough and vocalise this. History narrates the stories of the past, determines our actions in the present and shapes our thoughts for the future; so affects us all. Black history in the UK is relevant; assimilating it throughout the year will always be more effective than concentrating it in one month; regardless of race, the main ethnic groups in the UK have a shared history. It was only 16 years ago in 1997 that Hong Kong was released from British rule; many Indians, including Gandhi have connections to South Africa, Kenya, Uganda and other parts of the Motherland. It’s astonishing that other ethnic groups are able to remember their collective history and culture without having a designated month, but the black community in the UK seem to struggle with this somewhat. I say forget BHM and have black history woven in all year round; it will only be remembered if we choose not to forget it. Previous Entry My Liebster Award – I accept!